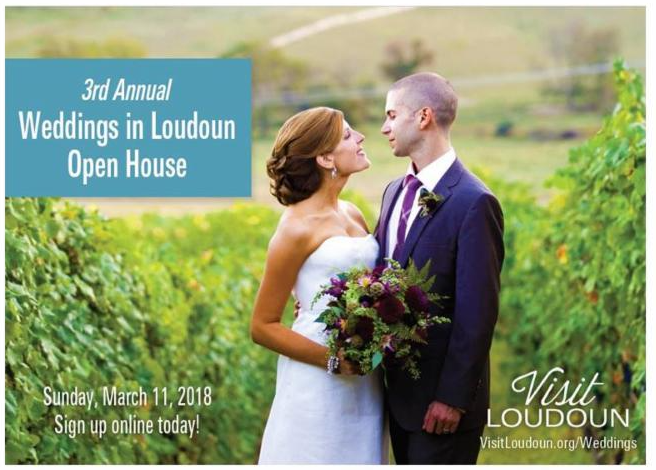 If you, or someone you know, is planning a Wedding or a Special Event, we hope to see you this Sunday, March 11th, between 11AM and 5PM, for the Weddings in Loudoun Open House. This is a county-wide self-guided tour. Come meet me this Sunday March 11th at Stone Tower Winery in Leesburg, Virginia. I will be there from 11:00 AM to 5:00 PM. Come meet with other vendors available for your event. Tour is free! Just stop on by!